New Found Harbor Luxury! 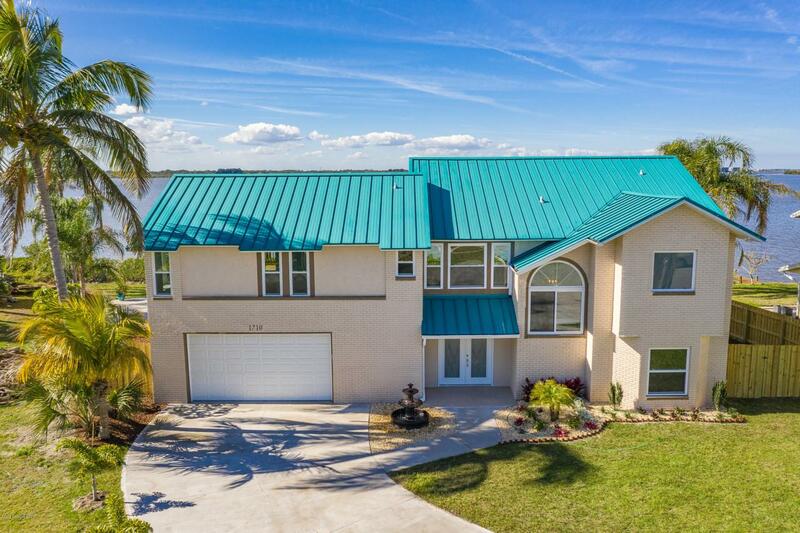 As you are Welcomed onto the Gracefully Curved New Driveway you begin to Experience the Florida Island Life Style with the Tropical Landscape and Lighting. Enter through the Custom Glass Etched French Doors to the Architectural Detailed Open Concept of Exquisite Style and Elegance to Include Soaring High Cedar Wood Ceilings, Custom Designer Gourmet Kitchen with Top Scale Appliances , Breakfast Bar, Breakfast Nook & Formal Dining Room. The Loft with Views of the Wildlife Preserve also Overlooks the Family Room that has a Newly Remodeled Brick Fireplace, Specialty Lighting and Fabulous Water Views. New Impact Glass Windows throughout. All Three Full Bathrooms Custom with Intricate Detail. Split Bedroom Design all with Water Views of New Found Harbor. Master Suiteincludes a Private Balcony , Large Walk in Closet and Modern Design Over sized Walk In Shower. Relax on the main floor in the Screened Lanai or the Large Balcony overlooking the Pool, Spa, New Dock and 128 Linear Feet of Waterfront that provides a Natural Environment of Stunning Sunsets, Mangroves, Dolphins, Manatee, Game Fish and Many Species of Birds.